Staying in a treehouse is the ultimate way to fulfill your childhood fantasy and luckily as an adult, you can finally make dreams come true! 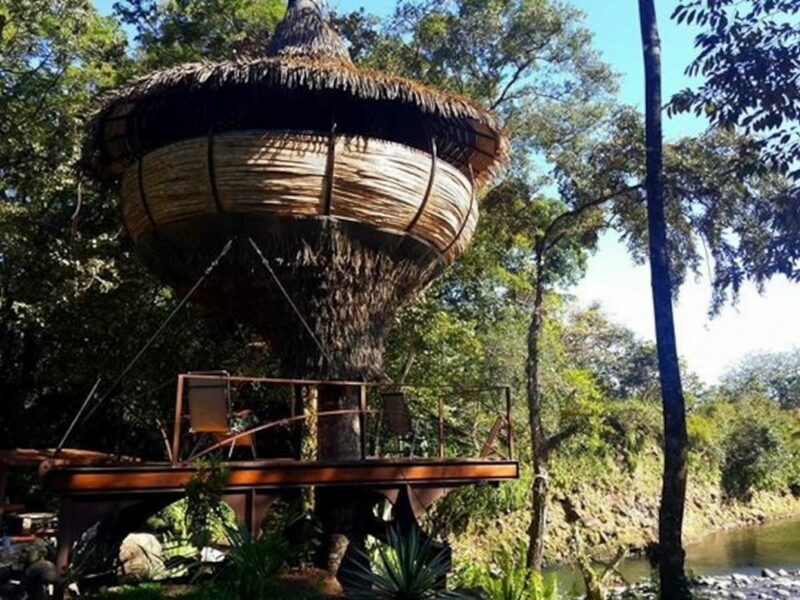 Treehouse accommodation has been popping up all over the world and the trend has made its way to Panama. 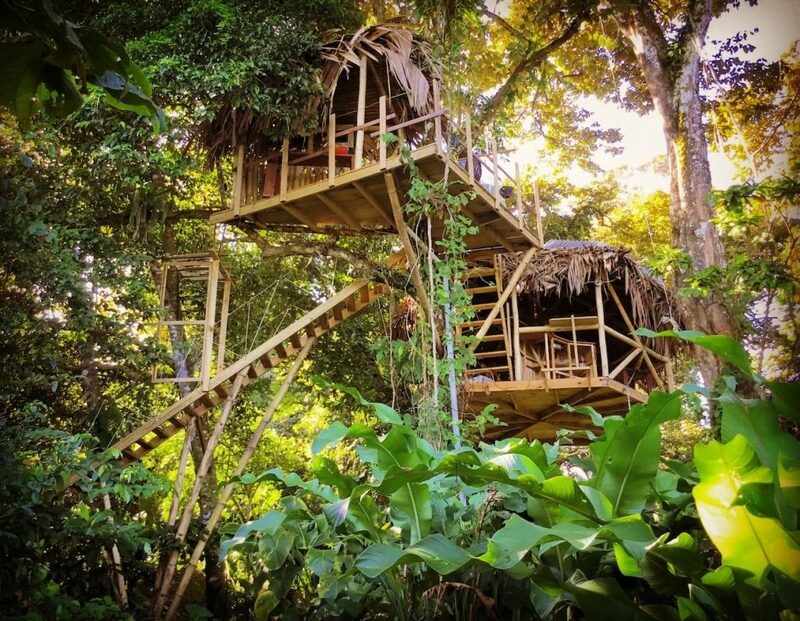 Here are my picks for the coolest treehouse lodges in Panama to make your childhood dreams a reality. 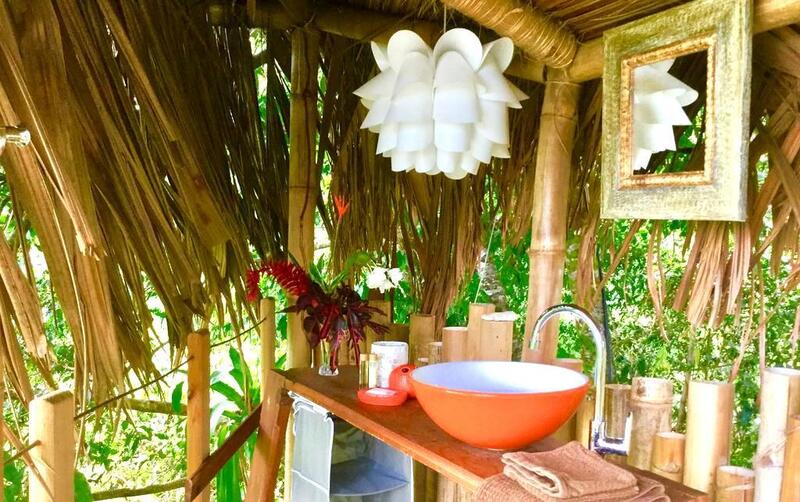 Nestled within the jungle of Bocas del Toro, the Jungle Treehouse Jungle Treehouse is your chance to sleep in an undisturbed natural habitat. The treehouse is suspended 10 m above ground, high in the trees with breezes and a view of the ocean, with no walls to obstruct your views. The property strives to be as eco-friendly as possible and uses rainwater and solar energy. You are also a short walk from a small private beach and a freshwater swimming hole. If the heat of the jungle isn’t for you, stay at the River Treehouse in the cool mountains of Boquete, Panama. The treehouse is situated next to a soothing river that will lull you to sleep each night and is part of a small nature resort. Property available via AirBnb – Sign up through THIS LINK for $25 off your first stay. 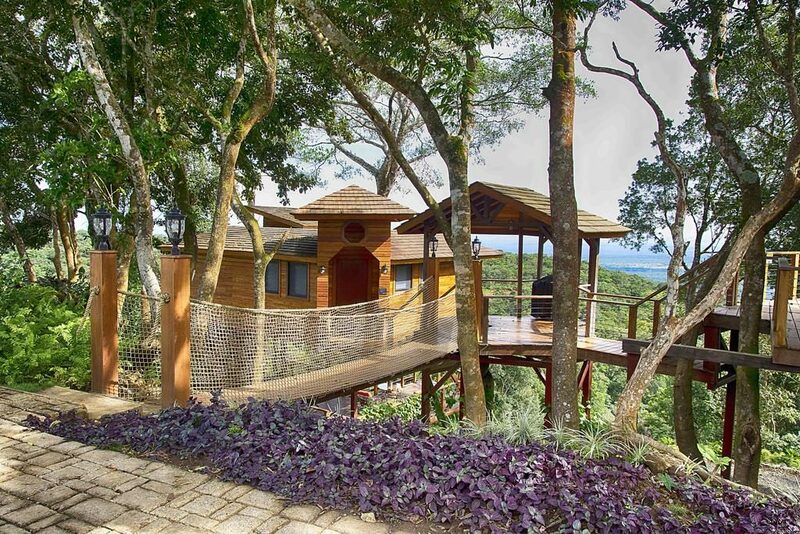 Enjoy the nostalgia of your childhood with a luxury treehouse experience at Cielo Paraiso in Boquete, Panama. The luxurious properties are handcrafted from local Panamanian wood and feature wrap around decks with panoramic view of the luscious valley below. From the property, you have access to a swimming pool and the beautiful nearby nature trails. 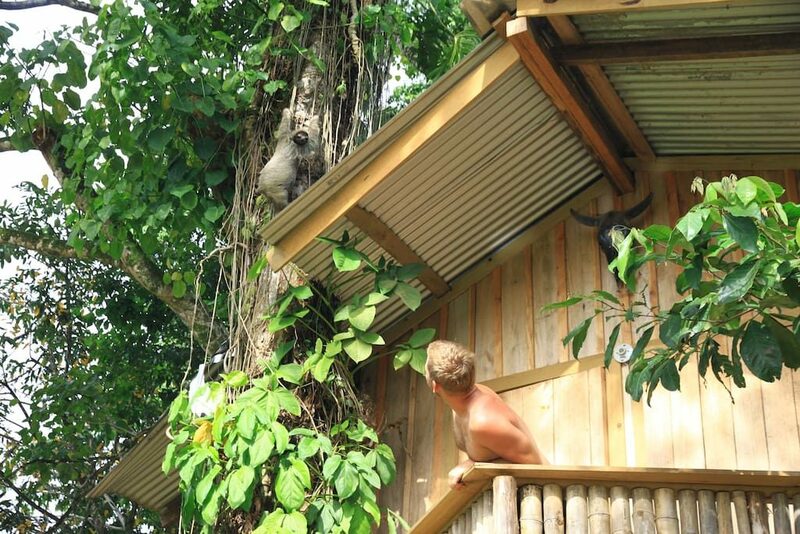 The Whimsical Treehouse is located on a cacao farm in Bocas del Toro. This is the ultimate treehouse for nature lovers and there is plenty of eco-activities to do nearby like paddling in an indigenous kayak, swimming with bioluminescent, and watching dolphins play in the bay. You might even make friends with a sloth by the end of your trip! Property available via AirBnb – Sign up through THIS LINK for $25 off your first stay.